IT WAS AN END AND A BEGINNING. We entered the UW young and innocent, and we left as adults exploring a new world. We entered looking for an education, and we left determined to make our mark. Our college years shaped who we became, and those lessons resonate to this day. Return to campus for a weekend of memories, friends, fun and reflection. Together we’ll celebrate those tumultuous, exciting days and the Husky legacy that we all share. Registration is now closed. If you’d like to attend, contact the UWAA at 206-543-0540 by 5 p.m. on May 31. 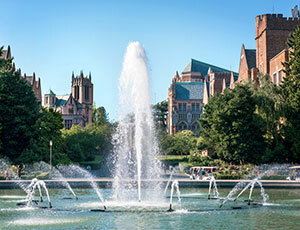 UW Campus | 1–4:30 p.m.
Return to campus early and stop by the UW Honors Program Lunch (1–3 p.m.) or Foster School of Business Reception (3–4:30 p.m.). 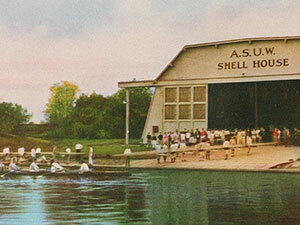 ASUW Shell House | 4:30–5 p.m. 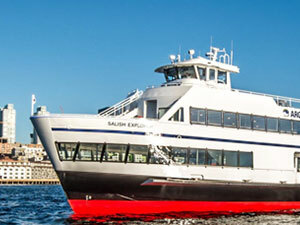 Waterfront Activities Center | 5–9 p.m.
We’ll gather on the newest boat in Argosy Cruise’s fleet for a cocktail party and class photo. 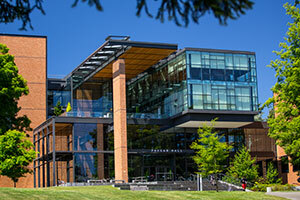 Hear from UW President Ana Mari Cauce, then set sail for dinner on its inaugural voyage. Come adorned in your best Husky festive attire and don’t forget your comfortable shoes! Meet and greet with your fellow ’68s, as well as other alumni that graduated more than 50 years ago. Programming includes musical performances by UW student group Stage Notes and the awarding of the 2018 Golden Graduate Distinguished Alumna award to Vivian Lee, ’58. 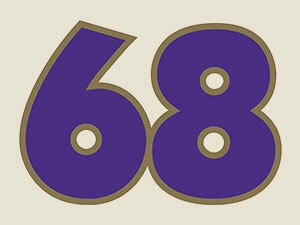 Class of ’68 attendees will receive special recognition as the UW’s newest golden graduates! UW Campus | 12–2 p.m.
HUB North Ballroom | 2–3 p.m. Remember and reflect on our transformative time on campus at a moderated panel discussion with Class of ’68 members Rosemary Aragon, Nancy Gibbs, Rich Kirkpatrick, Sharon Maeda and Bob Merry. Prepare yourself with this look back at 1968 with Bob’s essay in Columns magazine. 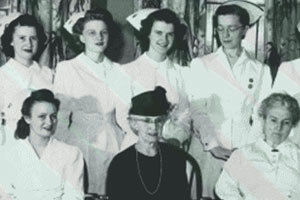 HUB North Ballroom | 3–4 p.m.
UW Club | 4–6 p.m.
All UW School of Nursing graduates are welcome to the All-Class Nursing School Reunion! 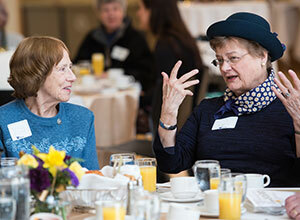 Celebrate what we’ve accomplished as alumni while connecting with friends old and new. On Friday, you’ll enjoy complimentary parking in lot E19 near the Waterfront Activities Center. At one of three digital pay machines near Husky Stadium, choose Option 3 — Pre-Arranged Parking. Enter parking code 102123. Take the receipt and display it on your dashboard. Receive 25% off best available rate of the day. To book your stay, visit the Fairmont Olympic Hotel’s booking page — or call at 206-621-1700 or 1-800-821-8106 — and use the promotional code PALU. UWAA members must show their card when checking in. 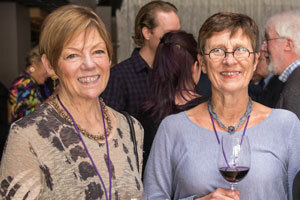 UW alumni and friends receive a 20% discount. UWAA members receive a 25% discount. When making reservations and checking in use coupon code UWD. To book accommodations, call Michelle Banner at 425-974-7133 using the promotional code UNIVERSITY to receive 15% to 20% off the standard rates. When we graduated in 1968, the cost of in-state tuition annually was $399. Today, it has risen 2650% to $10,974. These costs don’t include textbooks, fees, or housing costs. Our intent in establishing the Boomers’ Endowed Student Assistance Fund is to support hardworking students in need of financial resources. These students are the historic backbone of UW and the lifeblood of our region, though many are ineligible for financial assistance programs because of their families’ income and/or FAFSA score. Have interesting photos or memorabilia you would like to display Reunion Weekend? Contact UWAA at 206-543-0540 by May 10. Travel back in time with our Spotify playlist highlighting some of the biggest hits of our UW years.